Do you have questions about the adoption process? Click on any of the questions below to read the answer to many questions frequently asked about adoption by pregnant women and others considering adoption. If you don’t find the answers to your questions, please contact us and we’ll answer any questions you have. ​At what point during my pregnancy should I contact Catholic Charities? Creating an adoption plan is a process that involves meeting with an adoption worker for guidance and support throughout the decision making process. During your pregnancy, you will discuss desires regarding the adoptive family as well as openness of the adoption. You will also select an adoptive couple that matches you preferences. You can even begin to form a relationship with your chosen family. Following the birth of your infant, you will complete paperwork regarding your social and medical history. You then sign relinquishments. There is no set timeframe by which you must contact an adoption worker. The earlier you make contact the more time you have to prepare and make decisions. Does anyone need to know about my adoption plan? You do not have to tell anyone about the adoption plan, however, if there is a support system you trust, it may be helpful and beneficial to tell them. This way you have additional support during this process. Do I have to tell the father? Do I have to name the birthfather? The only person that needs to know about the adoption plan is the expectant father. In Kansas, both expectant parents have to relinquish their parental rights for an adoption to occur. If an expectant parent does not relinquish, then the court may have to sever rights if there is just and reasonable cause to do so. If the expectant father is unknown, there are further steps that can be taken which can be discussed with your adoption social worker. Can I choose the couple who will raise my baby? How is an adoptive family chosen? Expectant parents can choose the couple who raises their baby. The social worker will ask you about your priorities and preferences for a couple in order to connect and match your preferences with a couple’s preferences. Once the social worker learns about everyone's preferences, he or she will present adoptive couple profiles for you to consider. Each profile contains information about an adoptive couple, including pictures of themselves, their families, their home, their hobbies, interests, and professional careers. The profile books will match the majority of preferences from both the expectant parents and adoptive couple. You can choose an adoptive couple by what is important to you. You may choose a couple based on their career/ professional background, their race and ethnicity, their geographical location, the number of children that are already in their home, their hobbies, or their physical appearance. These choices are called “preferences.” At the end of the process, you, the expectant parent, picks the “forever family” for your child. What if I'm overwhelmed and can't decide? It is normal to feel overwhelmed and uncertain in your decision making process and you do not have to face your pregnancy alone. If you need to talk or just need someone to listen, we are here for you. We offer free, confidential pregnancy/adoption counseling. Our trained support workers will listen, answer your questions, support and advocate for you, and respect your decisions. Please, contact a support worker in your local area for help. It is not uncommon to question your decision to place for adoption as your pregnancy progresses. At times, many expectant mothers have conflicting emotions about placement. It is important that you explore your feelings rather than bury them. If you are having doubts about adoption, speak to a trusted friend or your pregnancy counselor to help you weigh the pros and cons of your decision. Ultimately, an adoption placement is your choice. You have the right to change your mind until you sign paperwork relinquishing your child. In the state of Kansas, there is no grace period after signing paperwork. At that time the courts no longer recognize your parental rights and regaining custody of your child is unlikely. The decision to place a child for adoption is highly personal and serious. You are making a plan to ensure the best life for your child. At Catholic Charities, we support you no matter what you decide. We understand the difficulty of the choice you are making and want to be there for you. What if I need assistance with my medical bills? When feasible, each expectant mother is asked to carry adequate health insurance to cover the labor and delivery of the child, including a C-Section, if that is required. When appropriate, the expectant mother is asked to apply for a medical card through Department of Children and Family Services (DCF). The adoptive parents will be responsible for all medical and health care expenses for the expectant mother in the event she does not have health insurance. If the expectant mother has insurance, the adoptive couple will be responsible for the deductible, co-pay and expenses not covered by insurance. All expenses for the child from the time of birth will be the responsibility of the adoptive parents. Do I need to get my own attorney? You are not required to have an attorney to make an adoption plan unless you are under 18 years of age. However, if you would like to have an attorney, you can get one. In most instances, the adoptive family or agency will cover the costs for your attorney, if one is necessary. When do I sign the papers to place the baby for adoption? Kansas law requires birth mothers to wait 12 hours following the birth of their infant before signing relinquishment paperwork. The birth experience can be physically and emotionally overwhelming, so we prefer to give mothers a little more time for recovery before the signing of paperwork, typically between 24 and 72 hours. If you prefer to have more time for bonding or for saying goodbye, we can make accommodations to meet your needs. Open adoption is a form of adoption in which the biological and adoptive families have access to varying degrees of each other's personal information and have an option of contact and a the option of a continued an ongoing relationship. ﻿Will there be any cost for me? If you choose the loving decision to place your child for adoption, there will be no cost to you. The adoptive couple will take on the financial responsibilities of the child, once relinquishment documents are signed. We ask that you sign up for all services available to you ; this includes Medicaid, WIC, food stamps, or any other services you might be eligible for. Your social worker can assist you with this. All legal documentation will be the responsibility of the adoptive couple. If you decide to parent your child after you have started the adoptive process, there might be financial expenses from proactive legal support. ﻿What does Catholic Charities do to screen adoptive families? There are three aspects to eligibility. 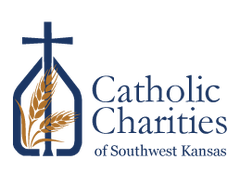 First, we have basic requirements, which are consistent with the values of Catholic Charities. Second, since our adoption program is designed to serve the unique needs of the birth families and their children, it is important that we take into account their perspective as we admit prospective adoptive families into the program. If there is a poor fit between birth families and adoptive families, we serve no one well. Third, we are looking for families that are genuinely comfortable with our open adoption philosophy. How do I get to know the adoptive family? We strive to provide open adoption services and believe it is important for you to get to know the adoptive family you are choosing as you proceed with the adoption process. This helps to ensure that you have chosen an appropriate family for the adoptive couple match. Your support specialist will assist with guiding you through the process of getting to know the adoptive parents. Choosing adoption for your baby is always an option. Sometimes, a woman is not comfortable making the choice to place for adoption until late in her pregnancy. Even if you decide on adoption after giving birth, our adoption programs will help you through the process. You are in charge of your adoption plan, no matter when you decide. You choose the adoptive parents, determine the type of post-adoption relationship you will have with them, and meet them prior to giving birth if that is your choice. It is never too late to choose adoption. If needed, you may select an adoptive couple from your hospital bed. Because our pre-adoptive parents have been thoroughly screened and prepared, they are willing and excited to become parents at a phone-calls notice. As with all adoptions, you are not responsible for hospital expenses or legal expenses. No, due to confidentiality laws, your participation with our agency is protected information. Kansas law does not require that your parents be notified or give consent for the adoption of your baby. If you are under the age of 18, we will help you to coordinate a meeting with an attorney to review your legal rights regarding the adoption. An attorney and / or judge will also be present when you sign your relinquishment. Once the baby is born, your social worker will visit with you in the hospital to see how you are feeling about your decision. The hospital social worker will also talk with you. If you have chosen to have the adoptive parents be a part of your hospital experience, you will be able to visit with them as well. Once your decision is made to make an adoption plan, there will be some paperwork for you to complete. You may sign your relinquishment at the hospital or after you are discharged from the hospital. The baby can be discharged to the adoptive family, to you or placed in cradle care until you have made your decision. Can I have a relationship with my baby? Yes. While preferences and agreements for open adoption are not legally binding in the state of Kansas, our families are heavily educated on the benefits of open adoption. They understand that maintaining openness within the adoption triad is in the best interest of all parties, especially the infant. Adoptive couples and birth mothers alike, may vary in regard to comfort with different levels of openness. You have the ability to select a family that closely matches your desires for contact. You may still place for adoption despite having any prenatal care. However, it is recommended and encouraged to receive any prenatal care despite how far you are in your pregnancy. Your adoption social worker can help you locate an OB-GYN and help you set up an appointment for prenatal care. 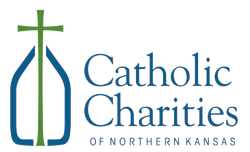 Although Catholic Charities promotes a healthy pregnancy and offers pre-natal counseling, there are circumstances in which women have used drugs or alcohol during pregnancy. We ask that you be as honest as possible with your social worker, so one can get on-going support to avoid use of substances that can harm the developing infant. We are required to inform the adoptive couple. With an honest relationship and disclosure, we can plan a course of action that will maintain your health and the health of the baby. Support services are available to you throughout the entire adoption process. Adoption is a lifelong journey. You may find you not only need support initially making your decision and while creating your birth plan, but also after your adoption is finalized. We understand the importance of pre and post-placement support, and we will be here to help in your times of need. Our support workers are trained and dedicated to helping birth and adoptive parents by providing them with compassion, useful adoption information, and advice.